March madness is here, and no, we’re not talking about basketball. March in Hong Kong is about one thing, and one thing only: art. And the biggest masterpiece of all is Art Central, the crowning jewel in this busy month’s calendar. 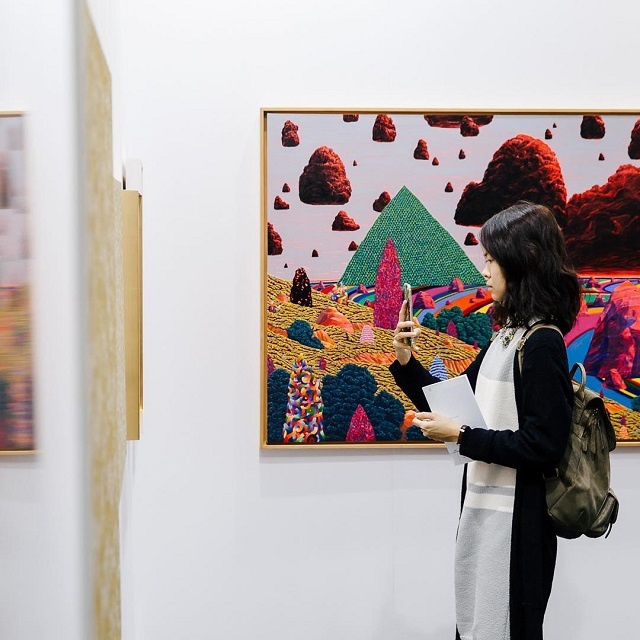 Art Central returns to the Central Harbourfront for its fifth year, bringing over 100 of the world’s top galleries together under one place. Though it’s always exciting to see the striking international pieces from around the world, this year we’re particularly excited to hear that 75 per cent of the galleries on show are from the Asia Pacific region, so we can celebrate the work of our own talented creators. Want to find out exactly which galleries will be exhibiting? Click here to see the full list. Taking a few hours to wander through the exhibits is half the fun of Art Central, because you can get up-close and personal with works from the world’s leading artists. But there’s even more to do at Art Central than wander the exhibits. This year they’ve created a full programme of performance art, large-scale installations, panel discussions and new media works through the help of 4A Centre for Contemporary Asian Art and Asia Society Arts Centre. If you’re like us, art can really build up an appetite. Thankfully, Art Central is the best place to eat during Hong Kong Art Week, because it’s home to two bespoke pop-up dining experiences. Head to The Terrace for a casual al fresco moment with some of your favourite restaurants from around the city, or try to snag a seat at Scarpetta for a tempting a la carte menu by chef Daniele Sperindio. Art Central is the place to see and be seen in Hong Kong, especially if you manage to snag a ticket to the exclusive First Night. Each ticket includes a complimentary glass of Mumm Champagne, plus the chance to see the Fair before anyone else and rub shoulders with the biggest names in art. Art Central runs 27 – 31 March, 2019 and Tickets are available now through Ticketflap.